During the design phase of a deck you can become lost in a sea of accessories, styles, and furniture. A quick image search for “decks” results in hundreds of thousands of ideas for adornments. It can become a headache. Before you think about adding these amenities to your deck, consider outdoor lights. 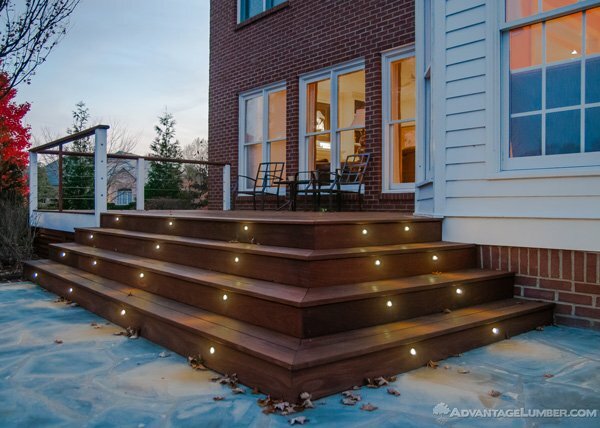 Deck lighting provides safety by illumining stairs, posts, and other trip hazards. This entry was posted in Deck Design, Deck Lighting and tagged deck lighting, deck lights, exterior lighting, outdoor lights, patio lights, post lights, rail lights, stair lighting on September 3, 2015 by Mr. Ipe Hardwood.